Henry Hubbard is the heir apparent to T.D. 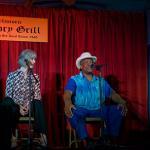 Bell's crown as East Side blues guitar legend. Hubbard plays guitar, piano, and bass. He came to Austin after WWII because of an Air Force assignment to Bergtrom AFB. Hubbard organized many bands in the 1950's which became known as Blues Boy Hubbard and the Jets (he was trained as a Jet mechanic in the AF). He is at the forefront of the group of players who are now about 50 years old (57 years old). Hubbard replaced Bell as Austin's favorite blues guitarist at about the same time that Charlie's Playhouse replaced the Victory Grill as the hottest night spot on the East Side. Just as Bell had a long association with Johnny Holmes oat the Victory Grill, Hubbard had a similar association with Charlie Gilden. Hubbard and the Jets became the house band at Charlie's Playhouse in the late 1950's and performed with all of the touring acts which came trough the club. At the time, Charlie was the primary East Side promoter for national touring blues, jazz, and R&B acts. His band worked most nights of the week at Charlie's Playhouse during legal alcohol serving hours. Then, for after-hours, the band would move farther east to the Chicken Shack and play until the pre-dawn hours. Both Clubs were owned by Gilden. It was during this time (1960's), that the scene began to integrate. Gilden's bars accommodated what was largely a mix of East Side blues diehards and young white listeners from UT. It was also during this time that a small hand full of white musicians began to get playing (and listening) time in East Side bars. Hubbard, in a lot of ways, was one of the blues instructors for this new group of players. 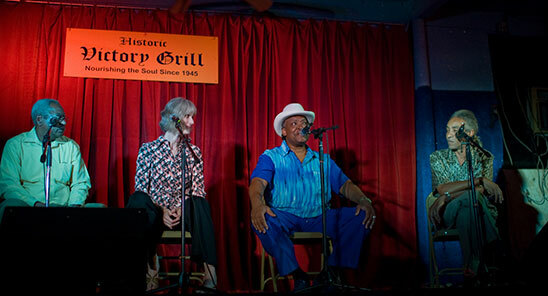 Hubbard has a lot to say about how things changed after Gilden's clubs closed and blues moved into west Austin. 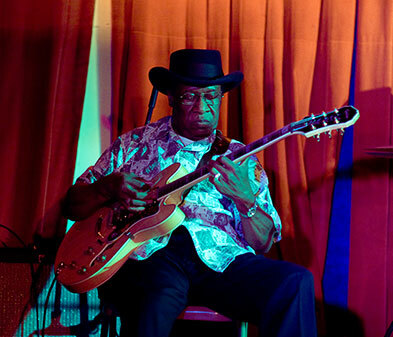 Although he is known among most blues players in town, career-wise, he is one of the casualties of the death of the East Side scene. He's a great and respected player, but rarely gets work on the West Side. He has a very personal point of view on the effects of so-called integration. After the white boys learned to play the blues, his work dried-up.